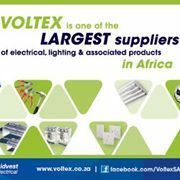 Voltex is divided into specialised supply and distribution business units. The fourteen supplier divisions (Atlas Group, Versalec Cables, Cabstrut, Cabmed, Soild State Power, EMS Invirotel Energy Management, Voltex LSis, Voltex Lighting, Voltex MV/LV Solutions, Voltex Smart Solutions, Phambili, Waco and Waco-R) ensure a well-rounded product range. The distribution division consists of strategically located outlets nationwide. 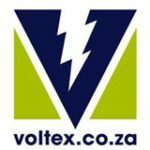 Voltex’s Retail division distributes the product directly into the retail industry. Voltex, as the largest electrical wholesaler in Southern Africa with a staff of over 2100 people, a national fleet of over 835 vehicles, is geared up to handle specialised projects within the electrical industry. It caters for infrastructural, commercial, industrial, residential developments and energy efficiency replacement/retrofit markets. Product research and development forms a significant part of Voltex’s responsibility. This offers customers a vast array of products such as general industrial electrical products and components, lighting and sensor technology, switchgear & motor control, transmission and distribution products, wiring accessories, cable support systems, power tools, hand tools and testers. All these products conform to SABS specifications where set standards are in place.